InstaSmoke™ Tube | Patio and Hearth Co.
InstaSmoke™ produces a generous amount of smoke in your KitchenQue™ Stovetop Smoker. 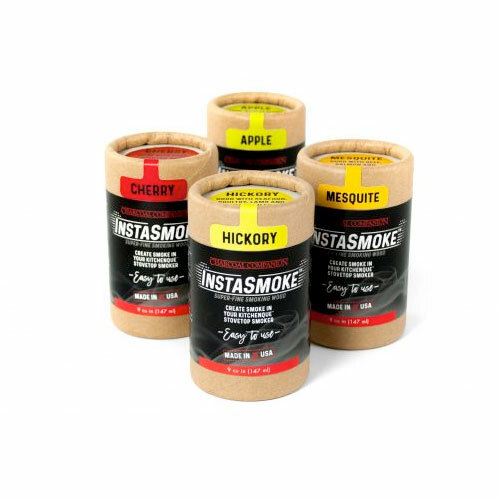 Just one tablespoon of InstaSmoke™ is good for a round of smoking your favorite food. Works with any food like meat, seafood, and vegetables. InstaSmoke™ lights fast and smokes quickly. Scoop some into your KitchenQue™ and start smoking! Inquire about InstaSmoke™ Tube using the form below.